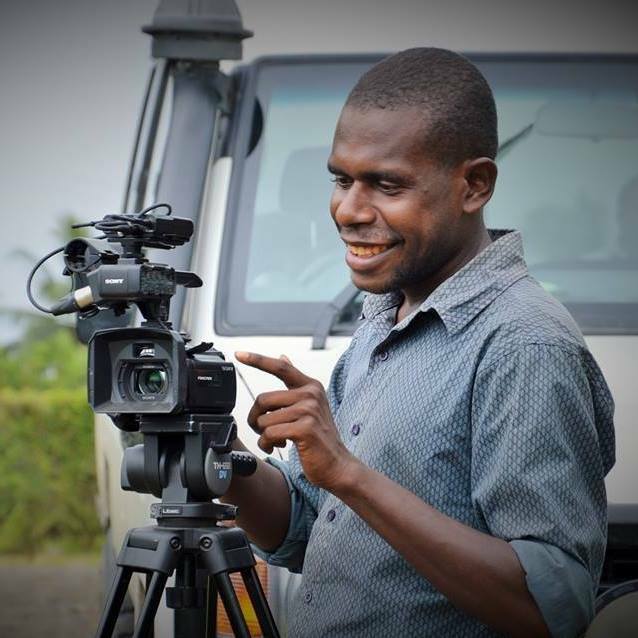 The greatest challenge facing journalism in Papua New Guinea is there is no freedom of press. It is the courage to speak and write the truth and using the right medium to express your views. Almost everything that is printed in the press is scrutinized and controlled by the government or an agent in the newsroom- preferably the editors. Everyday Papua New Guinean journalists face a much bigger challenge as they have to write according to what their editors can accept or they get sacked for insubordination. In PNG, the “kaikai man” is referred to someone who writes propaganda in return for favor. The syndrome is deeply rooted that one cannot get away from this, even the reporter with full knowledge that someone is corrupt or lying will continue to write good about him or her – glorifying parliamentarians and government bureaucrats is common in PNG. So how do you expect a graduate journalist to deviate from this trend? Years after years, the trend continues. The what, when, where, why and how questions have gone to the bunker. No journalists have got the courage to ask these questions anymore. Journalists in PNG have got assaulted and some taken to court, not because they did the wrong thing. All because of standing up for the truth and of course the truth hurts. The media has been suppressed by the very people that it (media) supposed to be keeping them in check and balances. So where does democracy and media freedom in PNG stands? Social media is the new technology that is now being accessible by almost 80% of PNG population. It is the most powerful tool to reach millions of people in PNG than the mainstream media. Facebook has taken over the news media role in PNG with almost all news, photos and half-baked stories being published by anybody. Social media news can be inaccurate at times and well balanced but it seems to be expressed more freely than in the mainstream. Journalist are the mouthpiece for the people, however continuous social media outbursts have somewhat highlighted poor journalism in terms of investigative reporting. Let me say it again, it has always been the editors and news bosses who have the final editing done to the news pieces. The PNG government has passed laws on cybercrime but how soon these laws can be implemented for the good our society is yet to become fruition. The other challenge is on media outlets to utilize the social media platforms to disseminate news and information. Social Media policies passed by certain media outlets also barricades journalists to have a human view on issues and posting them on social media. I have my personal blog titled “My Land – Graun Blong Mi” which I use it as an extension to write feature stories on people and lifestyle in PNG. All in all media in PNG cannot be defined as free. We are still facing a lot of challenges to find our worth in this society of ours.